As you are interested in interested in this article , you must have already rooted your android device or you might be thinking to root your device . You can refer our guide on How to root android phone. There are several tricks you can do after rooting , so lets start . Now you are confirmed and satisfied that your device is rooted . Right?? Superuser is a must needed app for every rooted phone. Some devices even needs superuser app to root it so in that case you already have it installed in your phone. But if your device don’t possess this app then I fully recommend you to install this app . Superuser allows to manage root permissions needed for several After rooting apps that is apps that need rooted device. It shows a dialogue box aka prompt screen when any app need root access. Thus its a must installed app . Clockwordmod is the most famous platform to install custom ROMs in your device. Even recently Google tried to buy this company so you can have an idea of its relevancy. It also offer Custom recovery which extends the features of your recovery mode.With custom recovery you can flash any “zip” file from phone itself . No need to use ADB in computer. Interesting , Isn’t it???? Also you can use this app to install and flash custom ROMs. 3) Increase RAM of your Android Phone!! Yes !! You can even Increase RAM of your android phone. Also it is very easy and convenient to apply this tweak. As you will increase RAM in android phone , it will significantly increase your processing speed so there will less or no complaints about phone getting hanged!!! Overclocking your device is an another great tweak you can apply after rooting . This would increase your device processing speed many times though heating issues may arise so try at your own risk and recommended to use in some old phone or with risk . Also better first learn about what is overclocking before applying this tweak as it may harm your device. Afyer flashing a custom ROM and kernel , you can use some overclocking apps which you can easily find in play store . Here I will recommend one . 5) Uninstall Bloatware – Preinstalled apps !! Yes , right . Are you irritated with those system apps ? Want to get rid off from bloatware – preinstalled apps? After rooting your device it is possible.Bloatware means those apps which comes preinstalled in your device mainly company apps which cannot be uninstalled.But you can remove those apps using several after rooting apps like “Root Explorer” or “Uninstall Master” available in playstore. Most of the people get tired with the android ads imposed by some freeware android apps. Not only that , ads also pop up in browsers while surfing which really irritate us but Don’t worry . If you rooted your device then you are lucky as you can block those annoying popup demons . Can’t Believe ??? Though Google removed almost all apps from playstore which can block such ads but here I will give you one app with download link which you can install on your device easily . Just download it and open it to install .One of the best adblocker I suggest is AdAway. I personally used AdAway and it works great. Xposed framework is a great work from Android developers through which you can install many modules which works separately for many purposes and are very light weight – means they don’t need much space . Thus rather than installing separate apps for every function , you can install several modules in one framework and enjoy the pleasure of modifying your Android . You must be thinking why need rooting as you can simply backup apps without the need of rooting , but wait , though you can easily backup apps but can’t backup app data – means apps in their present state . Rooting provides this opportunity. I am going to talk about an amazing app named – Titanium backup . It helps to backup apps along with their cache files thus you can get same settings , same preference even after reinstalling from that backup file. Titanium Backup can also be used for removing bloatware . I really like rooted device though it doesn’t make any difference in appearance and performance if any tweaks are not applied . Thus if you find any problem , you can remove that tweak rather than unrooting your device . Indian android device don’t come with indian languages fonts pre-installed but still you can add and install them in your Android device if you rooted your device. Rooting your device is main requirement for it. There are several languanges whose fonts you can install like Gujarati, Hindi, Tamil, Telugu etc. There are loads of apps which can transform your device to a beast though it needs root permissions. Thus I think this is also one major reason why one must root their device. You can enjoy apps like Root explorer, Adaway,Disable soft-keys, tasker etc. Although there are still more numerous things to do after rooting your device . Gradually I will be updating this post for more tweaks and tricks . Stay tuned with us . Along with that if you know any great tweak for rooting then you are most welcome to share it with us through comments. Please share this amazing guide with your friends . I have a few questions. I just bought a straight talk zte lever lte. I don’t like that o can’t change my system font so I searched on Google what I could do to change it and came across rooting.. Never knew about it before.. So I tried on my old phone I wasn’t using and went to kingroot and rooted successfully and downloaded hifont and changed font that way and it worked. But in scared to do it to my new phone seeing all that I read about phone bricking. I don’t want to mess up my phone. So since I know nothing about any of this I was wondering will just rooting and changing the system font possibly brick my phone? If not how should I do all this? I came across towelroot.com and the King root which was in a different language.. How do I also back up my default font? Which font installer is best to use? After rooted the app supersu or w.e. that does the grant root access for apps or however it works is there anything i need to do? Or can I leave the app alone? Only thing I want to do is just change the fontm that’s it. Don’t want to mess with anything else.. Also, say I root it with no problems and change font with no problems is there still a chance my phone could brick? I wouldn’t mess with any other settings.. Please help me! Need to know some info. I know nothing about all this stuff! Thank you! Generally phone brick occurs when some problem occurs while rooting . If your phone gets rooted successfully, you don’t need to worry about bricking phone. I think default font remains in your system. 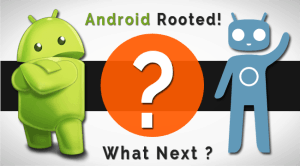 There is no official rooting method specially for your device so you need to try towelroot method and kingoroot tool, yeah they come in different language but we need to figure it out our own. After installing supersu , you dont need to do anything with supersu. These rooting tools will rarely brick your device, so they are safe. Just few days ago I rooted my device but gravity box app is not working and xpose medules are not working also so I just need help about that please help me….. I need to backup my files or not?